February is a month packed full of fast swimming from the high school level to college and beyond. But Virginia high school sophomore Anthony Grimm cut through the noise last week, stealing headlines with a stellar 20.87 in the 50 backstroke. Archive photo via Matt Rees. 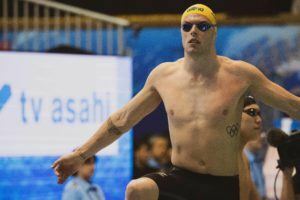 At last week’s Swim Open Stockholm, Mykhailo Romanchuk (Ukraine) and Florian Wellbrock (Germany) battled for two of the best men’s 800s in recent memory. Both broke their own national records and both cracked the top 11 in history in the event. Australia’s Olympic champion Kyle Chalmers had a stellar national championships meet last week, highlighted by a new personal best in the 100 free. With 50 yard to go in Friday’s finals session, Texas was primed to cut Cal’s points lead down to just 29. But Cal anchor Ryan Hoffer had other plans. During the busy NCAA season, we have a tradition with our Swim of the Week: using it to pick out ‘the swim that won the meet’. Sure, mile times aren’t as eye-popping as 50 frees. For whatever reason, a fast sprint time can be a headline by itself (17.63, 21.11, 46.91), while a distance time requires some more context. 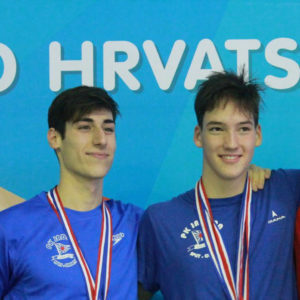 Maybe that’s why Franko Grgic’s (left) 14:56.55 in the long course mile was such and under-discussed swim from the past week. Disclaimer: Dolfin Swim of the Week is not meant to be a conclusive selection of the best overall swim of the week, but rather one Featured Swim to be explored in deeper detail. The Dolfin Swim is an opportunity to take a closer look at the context of one of the many fast swims this week, perhaps a swim that slipped through the cracks as others grabbed the headlines, or a race we didn’t get to examine as closely in the flood of weekly meets. February is a month packed full of fast swimming from the high school level to college and beyond. 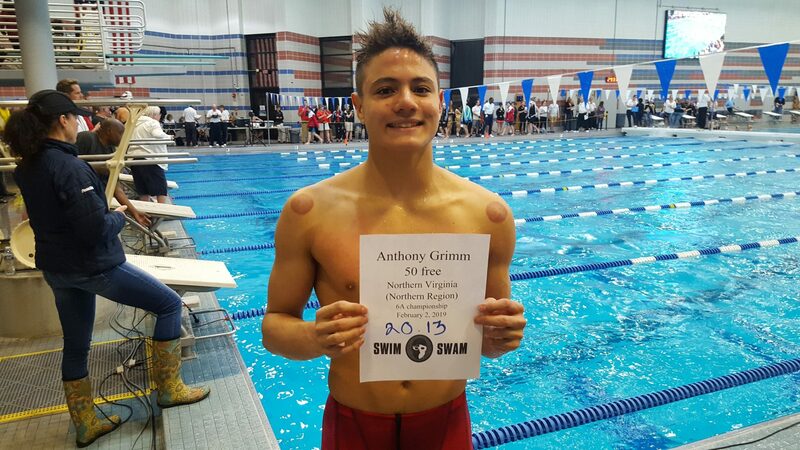 But Virginia high school sophomore Anthony Grimm cut through the noise last week, stealing headlines with a stellar 20.87 in the 50 backstroke. Grimm led off Oakton’s 200 medley relay at the Virginia 6A state championships, hitting what is believed to be the fastest high school 50 back of all-time. Grimm’s 20.87 is faster than unofficial American record-holder Ryan Murphy was as a senior in high school. Murphy went 21.09 at Florida’s state meet in 2012. 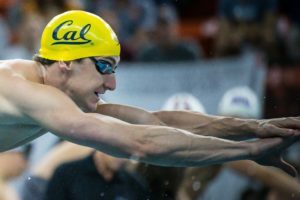 He would go on to go 20.20 swimming for Cal in college in 2016 – that is the fastest 50 backstroke on record, though the event doesn’t hold official American or NCAA records. Most men’s college teams haven’t yet had their conference championships. But at the SEC meet this week, the only collegiate swimmer faster than Grimm’s time was Alabama’s Zane Waddell at 20.22. Only one other SEC swimmer was under 21: Georgia’s Javier Acevedo at 20.95. Dolfin Swimwear represents quality and value. We are committed to supplying our customers with a durable swim suit and an affordable price. 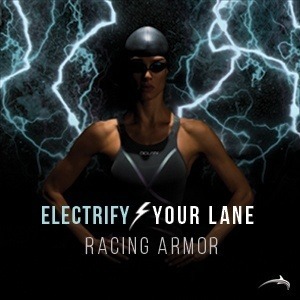 We also will continue to be the innovaters for fun and unique practice/training suits which gives swimmers something to smile about…even during grueling workouts. LightStrikeTM was developed after years of research in biomechanics, active drag analysis, fabric innovation, and compression analysis. This new FINA approved suit is supported by Dr. Genadijus Sokolovas, PhD in Biomechanics and former Performance Director with USA Swimming and Styku® 3D Biomapping Engineering. Visit Dolfin to learn more. 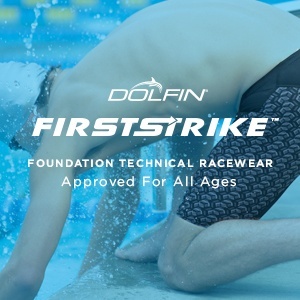 Dolfin is a SwimSwam partner.